Torquay equals fun, adventure and freedom. The popular holiday haven offers the best of the beach and the gateway to the Great Ocean Road. 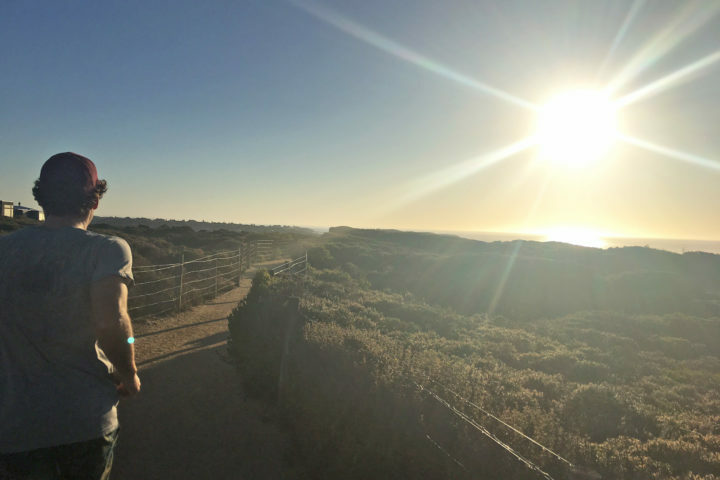 Travel the iconic Great Ocean Road and discover Australia’s best scenic coastal drive, coupled with surf beaches, stunning coastal scenery and some of the most diverse ecosystems in Victoria. Unsure what to do while you’re staying with us? Here are a few of our favourites! Torquay is spoiled for choice when it comes to world-class beaches. Whether you’re after a surf lesson, a paddle in the shallows or a relaxing bask in the sun, there’s a perfect beach for you. Head to Torquay Front Beach for a great swimming beach, conveniently close to cafes and ice cream shops along the Esplanade. Or, migrate to nearby Cosy Corner for a picnic and a paddle with the little ones. If you’re after more waves head to Torquay Surf Beach near the Torquay Surf Lifesaving Club. Whichever you choose, all are only a short stroll away! As always, remember to play it safe by the water by swimming in between the flags. A must for inquisitive minds, take a beach fossil walk and explore the wonders of the ocean at low tide. There are amazing things locked in the cliffs just down on the Torquay front beach. Have a close look under a magnifying glass and you may find a million year old animal – in fact, a huge dinosaur whale was found near here a few years ago! 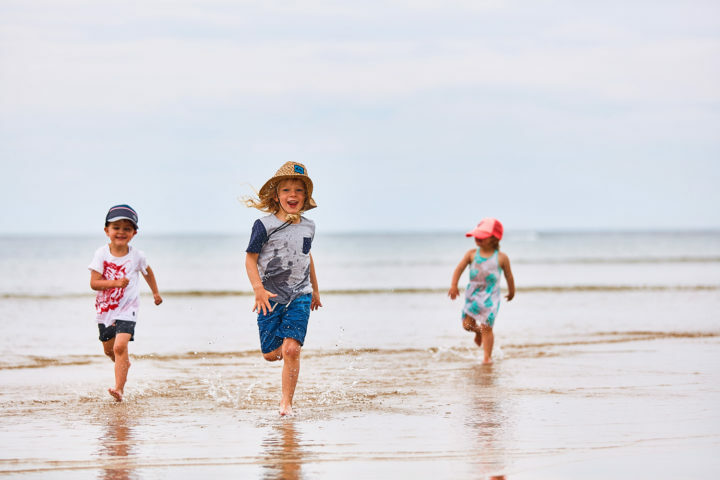 Keep an eye out for marine wildlife including crabs, starfish, sting rays, cuttlefish, squid, pufferfish, sea snails and more in the rockpools. 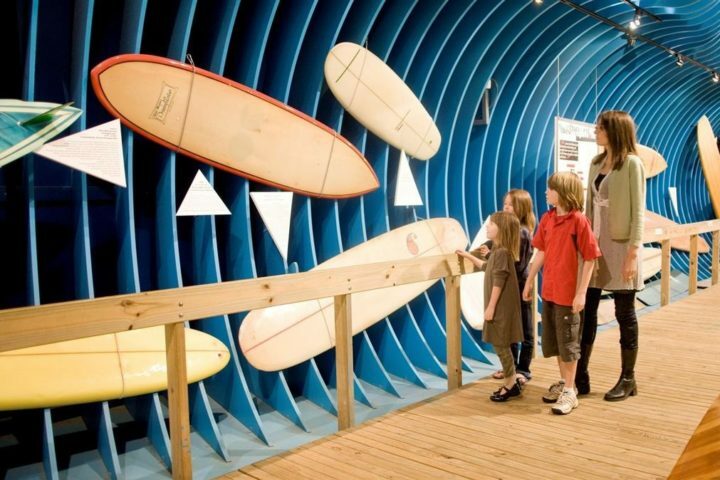 Once you’ve finished learning about the surfing history of Australia, buy some surf gear or your own board at Surf World Plaza. 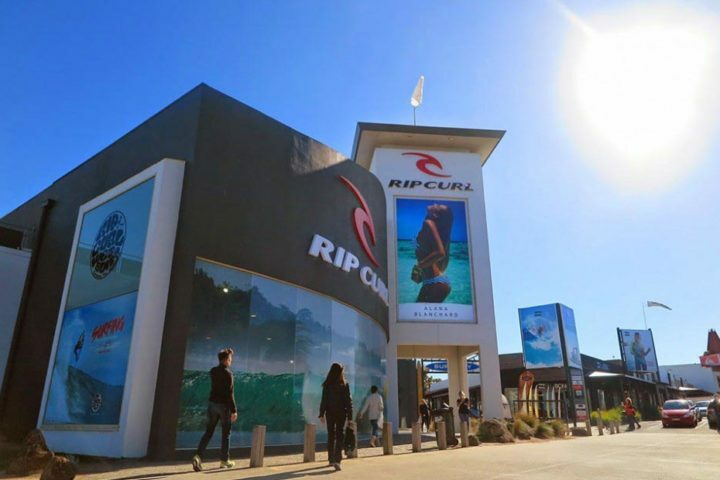 Visit the massive stand alone stores of brands such as Quiksilver, Billabong and Rip Curl, just to name a few. 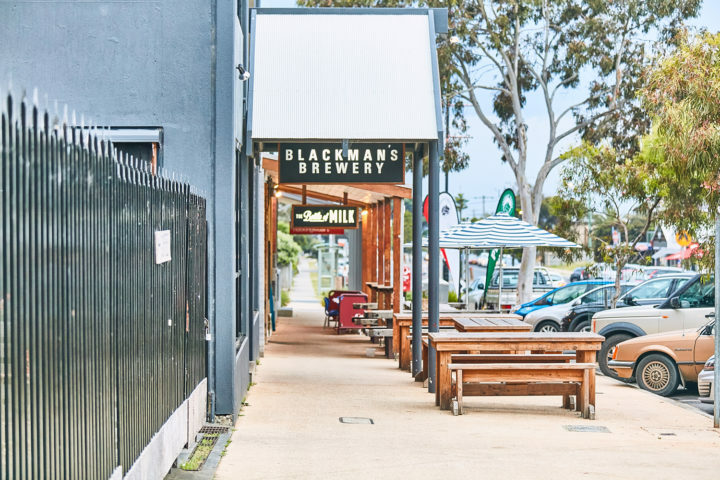 We are located on Bell St which is home to great restaurants and cafes, and establishments such as Bells Bakery, Blackmans Brewery, and The Torquay Hotel. You can also find a variety of gift shops on Bell St, or venture further afield for a variety of restaurants along the Esplanade, and local supermarkets and shopping centres. 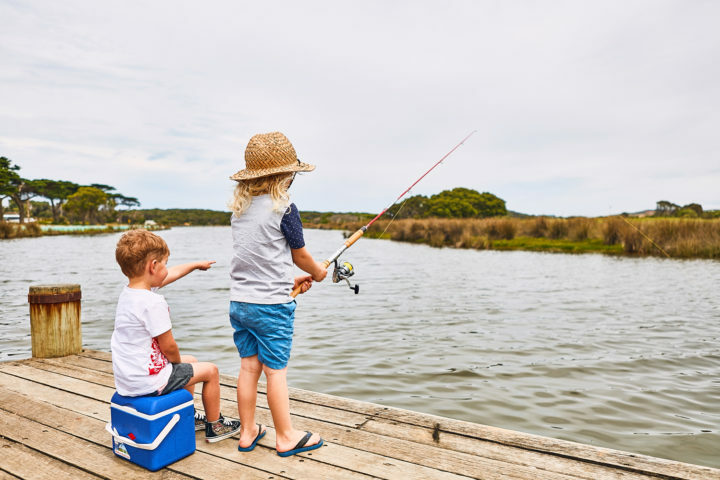 There are numerous spots to wet a line and try your luck for a fish, from angling in nearby creeks and rivers to surf fishing along the coast. 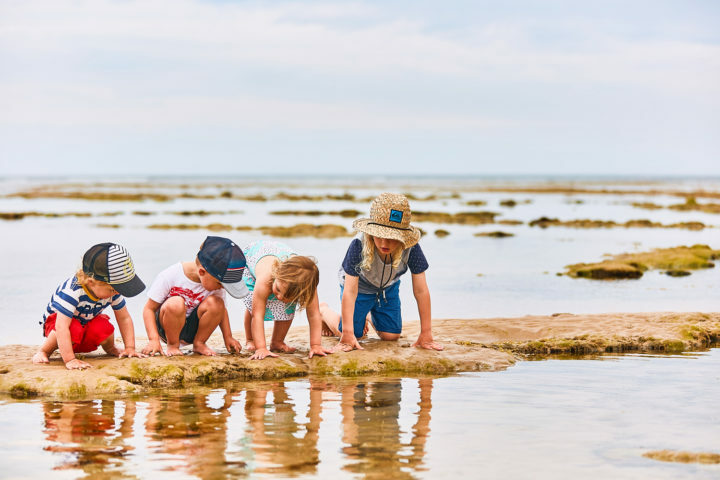 Experienced fishers can try for a range of species including King George Whiting, Calamari, Gummy Shark and Snapper which are all caught from the beach or rocks along our coast. See more fishing tips on the Great Ocean Road here. Kids need entertaining? 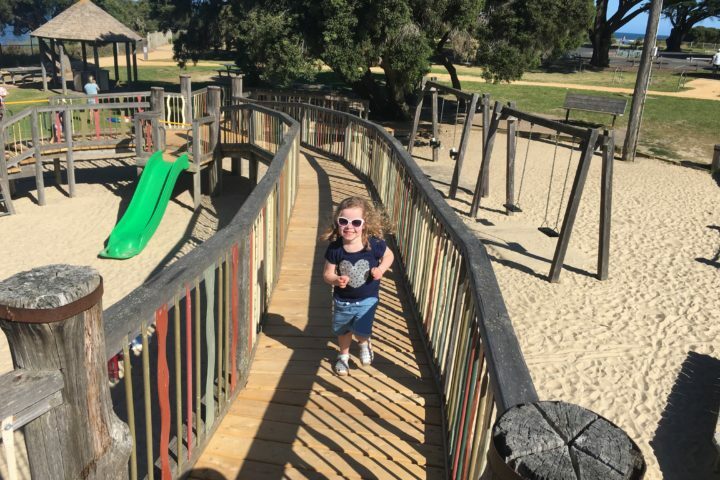 Located on the Esplanade, they’ll love the amazing Elephant Walk Playground with its myriad of swings, bars, decks and slides. Click here for a full list of playgrounds on the Surf Coast. 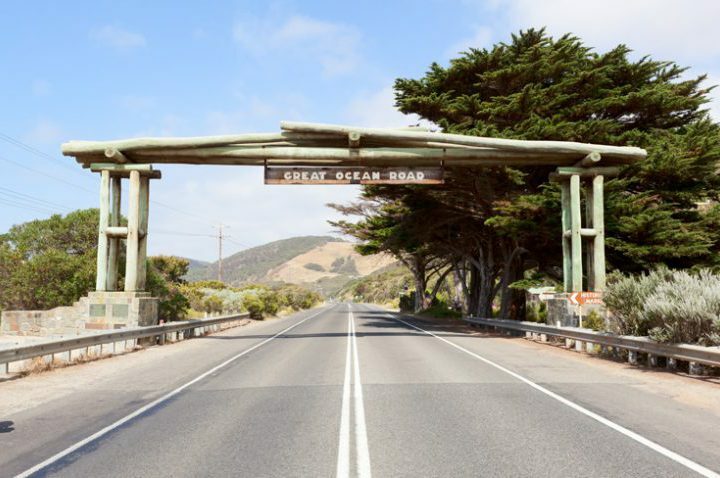 The iconic Great Ocean Road is a must for those visiting. The perfect day outing, pack yourself a picnic and explore the winding turns that wrap around the picturesque Victorian coastline. Head to the Twelve Apostles to see Victoria’s most iconic landmark and enjoy the journey along the world’s biggest war memorial. The rich blue of the ocean will leave you amazed as you journey further down the coast. If heading further afield, why not stay at one of sister parks in Anglesea or Lorne! 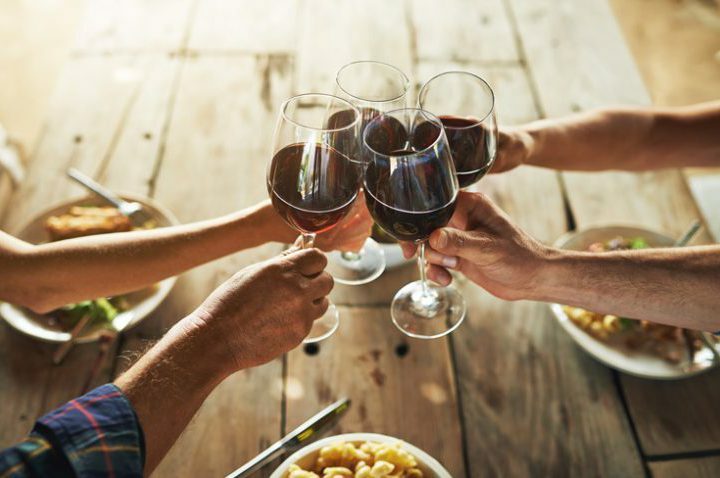 Did you know that the Surf Coast has some of the best restaurants and wineries in the region? Explore the local wineries on your own or through an organised tour. The Minya and Mount Duneed Wineries are located just north of Torquay and produce an impressive range of red and white wine varieties. Offering tasters and diners beautiful views and picnic facilities, both wineries are open every weekend. Discover your new favourite drop with this list of Surf Coast wineries. 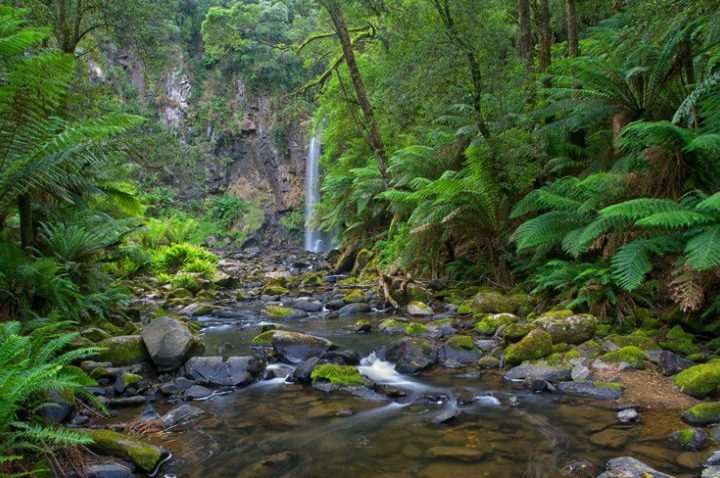 There’s a long list of things to do in the Otway Ranges from exploring the rainforest at the Otway Fly, to sampling the best food and wine in the region. There’s also a staggering number of breathtaking waterfalls and numerous walks in this area.